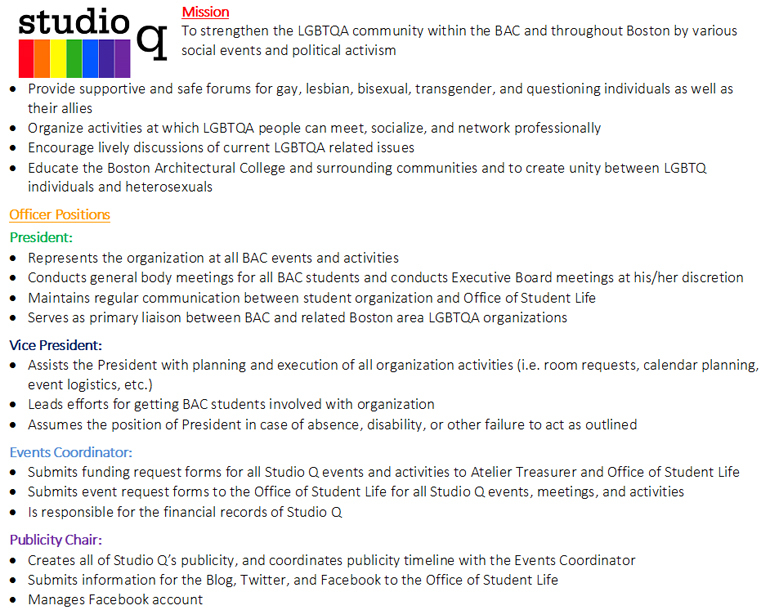 Studio Q is your resource to the BAC's gay, lesbian, bisexual, transgender, questioning and supporting community. For more information about these positions, and about eligibility, please click the image above. For more information about candidate eligibility, please click the image below.